As previously discussed, users of iOS 5.0 this fall will be able to select between two distinct styles of notifications: traditional "Alert" notifications that overlay the screen (as they do in iOS 4.0) and require the user to dismiss them, and new "Banner" notifications that appear subtly at the top of the screen for a few seconds before rolling out of view and into the Notifications pull-down without any interaction. With the release of iOS 5.0 beta 2, Apple has tweaked the display of traditional alerts that appear on the home screen, adorning them with slightly larger typeface and the icon of their associated application. After a few seconds without user interaction, however, these alerts will morph into the standard lock-screen alerts that tile one after the other on the lock-screen. 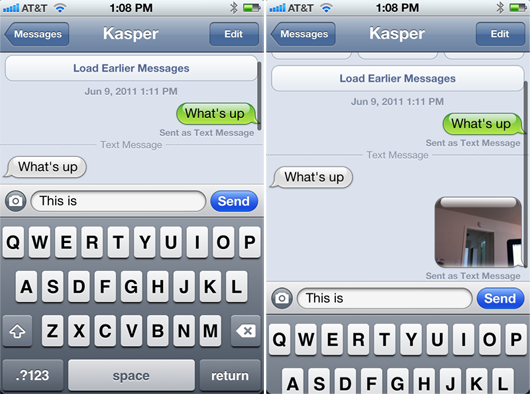 While it's not exactly clear whether the feature was present in the initial iOS 5.0 beta, developers evaluating the updated iMessage app in beta 2 note that the keyboard will gracefully recede downwards and out of view when scrolling upwards in a message history. Also apparent in beta 2 is a switch from the purple iCloud icons Apple had in place throughout various panels in beta 1 to the brushed aluminum style present in iCloud marketing materials. 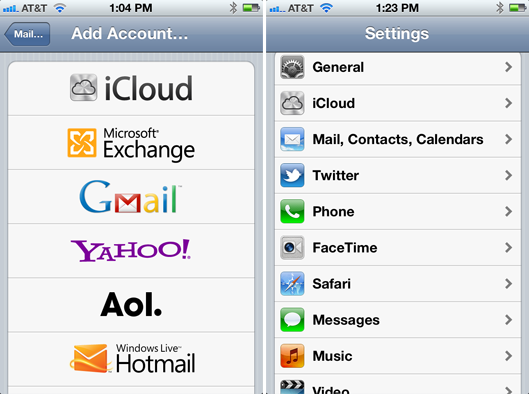 That same icon also shows up while adding a new iCloud mail account, which is now the default account creation type, relegating MobileMe to the end of the automated email account setup list. 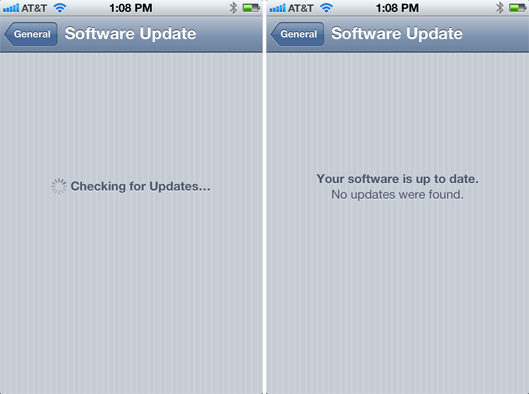 Also, the over-the-air Software Update mechanism appears active in beta 2.